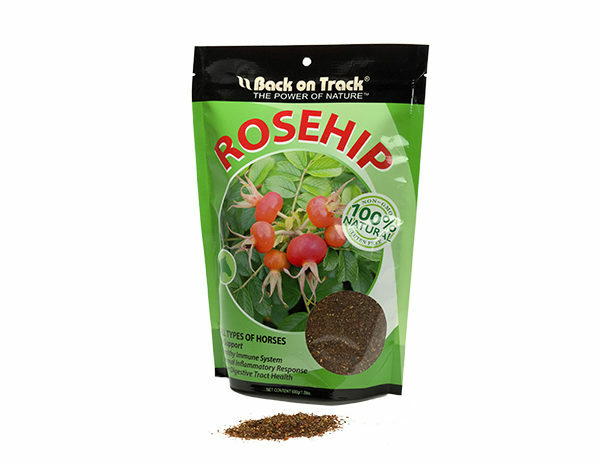 Support your horse’s immune system and keep their digestive tract functioning properly with 100% organic Rosehip. 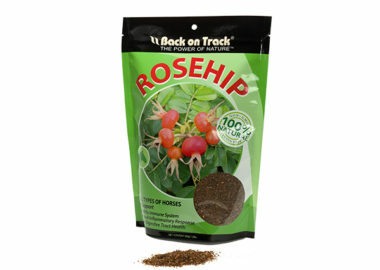 Our Certified Organic Rosehip should be administered daily as part of your horse’s health care regimen. All types of horses at any stage of their lives can benefit from Rosehip’s POWER OF NATURE™. Excellent for all horses, from backyard to the Olympic show ring and for all activities in between. Available in 1.5 lb (34 day supply) or 3 lb (68 day supply) stand-up pouches. Administer 1 scoop (20 grams) daily to help maintain a healthy immune system. The 1.5 lb bag of Rosehip is a 34-day supply and should be administered daily as part of your horse's health care regimen.